Jumping on the lemon bandwagon. Don’t forget to enter the latest giveaway! 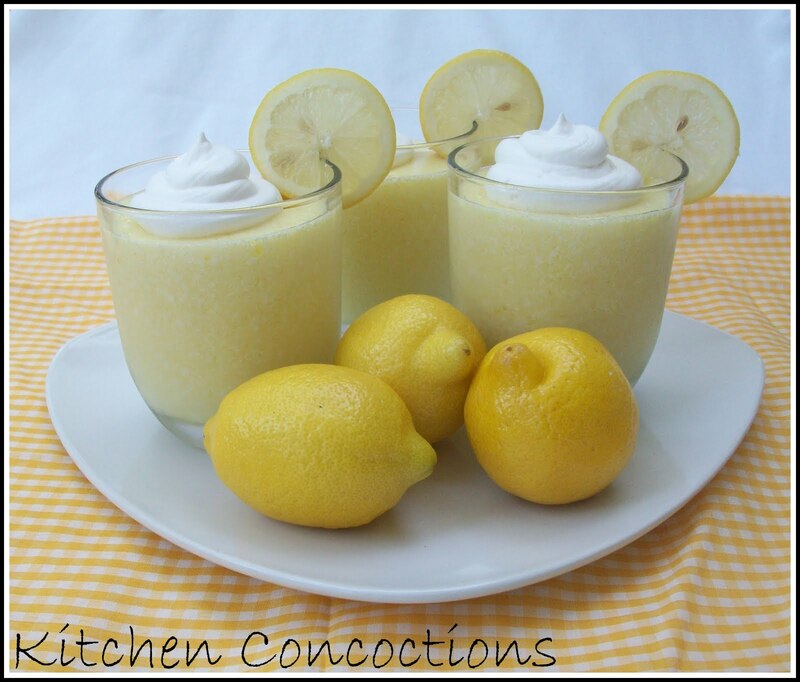 I feel like lately all I have seen are lemon desserts. I love lemon but where is all the chocolate?? Want your lemon in bar form? Well try these. Or maybe you like it… well icy. 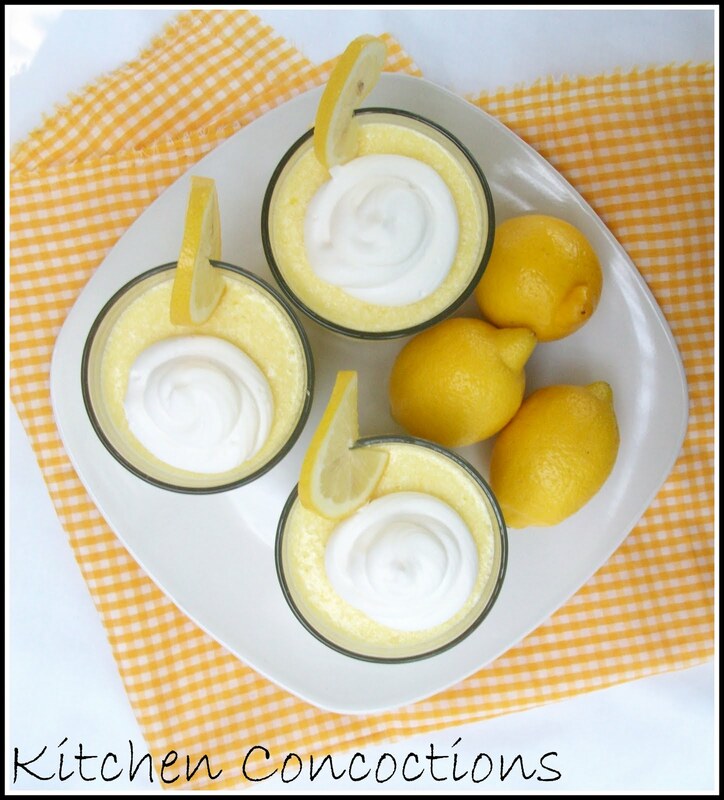 Microwave lemon curd? Who knew it could be done! And I am a freak about lemon in cheesecake form! 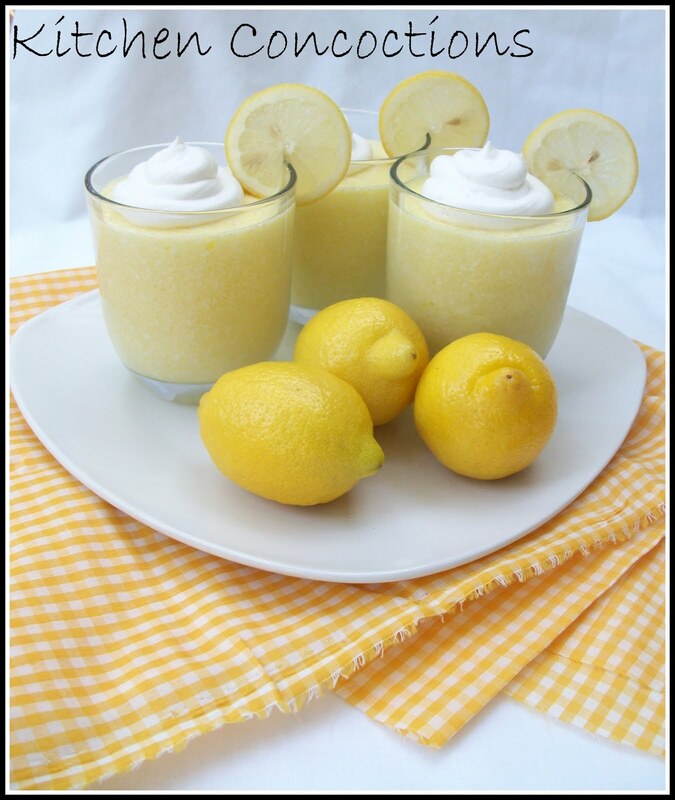 And now how about lemon mousse? I loved the idea behind this low calorie dessert. Really the flavor possibilities are endless. Lime or Strawberry daiquiri anyone? I did find the texture in these a little bit off but I think that is because my Jello did not fully dissolve and my whipped topping was frozen and not thawed which made it difficult to blend. I can’t wait to try these again and follow my own tips! Ha! Place 2 cups water in a large microwave-safe bowl. Microwave on high for 4 minutes. Add gelatin, stir to completely dissolve and microwave 1 minute more. Add crushed ice to dissolved gelatin and stir until completely melted. Add frozen lemonade concentrate and stir until dissolved. Place gelatin in large bowl, cover with plastic wrap and chill in the freezer from 45 minutes, until gelatin is thickened but not set. Using an electric mixer on medium speed, beat dessert topping into gelatin 1 cup at a time. Pour mixture into serving glasses and refrigerate for another 2 hours or until set. Serve topped with additional whipped topping. « How are YOU celebrating the first day of summer?